Special Containment Procedures: SCP-3633 is to be kept in a standard safe-type anomalous locker. SCP-3633 is to be inspected once a day for new pictures. 특수 격리 절차: SCP-3633은 표준 안전형 변칙 금고에 보관해야 한다. 하루에 한 번 대상의 새 사진을 검사해야 한다. 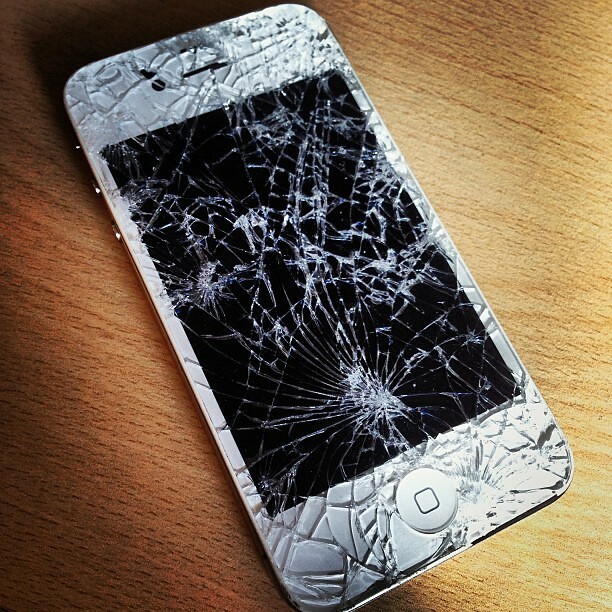 Description: SCP-3633 is a factory standard iPhone 5 with a cracked screen and significant burns to the internal workings. Though this should render the device inoperational, SCP-3633 is fully functional. SCP-3633 remains at 0% battery life regardless of useage or attempts at charging it. There are two contacts in the phone, one labeled "Me" and the other labeled "Behind Me", both of which have no functioning phone number. Persons viewing pictures on SCP-3633 express an unfounded feeling of being watched from behind. 설명: SCP-3633은 화면이 깨지고 내부 구조에 과열 흔적이 있는 공장제 표준형 아이폰 5이다. 이는 기기를 작동 불능 상태로 만들 법 하나, SCP-3633은 완전히 기능한다. SCP-3633은 그 연식이나 충전하려는 시도와 상관 없이 충전 상태 0%를 유지한다. 통화 기록에는 두 종류의 흔적이 있는데, 한 쪽은 "나", 다른 한 쪽은 "내 뒤"라는 표식이 되어 있다. 양측의 번호는 모두 없는 번호이다. SCP-3633에 저장된 사진을 관측하는 인원들은 설명할 수 없는 뒤에서 관찰되는 듯한 느낌을 표출한다. When SCP-3633's camera is activated, the screen display becomes too dark to distinguish any features from the live preview. This preview is occasionally interjected with still images, however these images are too blurry to accurately identify. Further analysis shows that the majority of the objects in the images are in contact with the camera lens. SCP-3633의 카메라가 활성화될 시, 화면 디스플레이는 관측자가 그 상을 보기에 너무 어둡게 된다. 이 동안 때때로 정지 이미지가 화면에 나타나는데, 이들은 정확히 식별하기에는 너무 흐릿하다. 추가 연구에서 이미지 속 객체들은 카메라 렌즈와 상관 관계에 있다는 것이 나타났다. SCP-3633 has received a total of three calls while in containment: two from "Me" and one from "Behind Me". While the phone rang, the screen became unresponsive, and personnel were unable to answer the calls. A voicemail was left by "Behind Me", which consisted of three minutes of leaves rustling, followed by a 'crack'. After this was fifteen seconds of a high pitch creak, followed by a mechanical clicking noise that ended the call. SCP-3633은 격리 동안 세 건의 통화를 받았는데, 두 건은 "나", 한 건은 "내 뒤"에게서 온 것이었다. 전화가 오는 동안 화면은 응답이 불가해졌으며, 인원들은 통화에 응답하는 것이 불가능했다. "내 뒤"는 그 뒤 음성 메일을 송신하였는데, 이는 삼 분 동안 낙엽이 휘모는 소리에 이은 '쿵' 소리를 포함하고 있었다. 이후 15초 동안 고음의 삐걱거리는 소리가 났고, 기계적 짤깍 소리가 통화를 끊었다. SCP-3633 was found on a desk in an abandoned apartment in Pittsburgh, along with several other anomalous objects (now classified as AO-9099 through AO-9108). The words "IN FRONT" were etched onto the desk next to SCP-3633. No records of the occupation of the apartment were found, although the landlord had financial compensation to suggest paid residence for over eight months. SCP-3633은 피츠버그의 버려진 아파트의 책상에서 다수의 다른 변칙 객체들(현재 AO-9099에서 AO-9108로 분류됨)과 함께 발견되었다. "앞에"라는 문구가 SCP-3633의 책상 옆 책상에 식각되어 있었다. 아파트 거주민에 대한 기록은 찾을 수 없었는데, 다만 그 지주는 무려 8개월간의 연체에 대한 경제적 보상을 요구했다. Addendum SCP-3633-1: Researchers attempted to communicate with "Me" and "Behind Me". The following is the results from these tests. Communications sent from SCP-3633 were sent to both "Behind Me" and "Me" in a group text and are labeled "SCP-3633". 부록 SCP-3633-1: 연구자들은 "나" 및 "내 뒤"와 소통하려 시도했다. 이하는 그러한 실험들의 결과물이다. SCP-3633을 통해 전송된 통신은 단체 문자를 통해 "내 뒤"와 "나"에게 모두 전송되었으며, "SCP-3633"으로 표시되었다. 4:12 - SCP-3633: Hello? Is anyone here? 4:12 - SCP-3633: 여보세요? 누구 계신가요? 4:13 - SCP-3633: Who are you? 4:13 - SCP-3633: 여러분은 누구신가요? 4:15 - SCP-3633: What are you? 4:15 - SCP-3633: 여러분은 무엇인가요? No further responses have been recorded. 더 이상의 반응은 나타나지 않았다. Addendum SCP-3633-2: At sporadic intervals, SCP-3633 began receiving texts from "Me" and "Behind Me" regardless of SCP-3633's cellular connection. These texts always appeared in pairs, with one of the contacts sending a picture with a caption, and the other contact sending a text. 부록 SCP-3633-2: 산발적 간격으로 SCP-3633은 통신 연결 상태와 상관 없이 "나"와 "내 뒤"에게서 문자를 받기 시작했다. 이 문자들은 항상 쌍으로 나타나는데, 한 쪽이 설명을 단 사진을 보내면, 다른 쪽이 말을 다는 식이다. The text messages differed from the normal messaging format used previously by SCP-3633, however all screen shots of these texts created a picture of static. Therefore, transcriptions of the messages received from SCP-3633 are presented instead. The name of each file as well as the content of the messages was transcribed exactly, including replicable stylistic and aesthetic details. 문자 메시지들은 SCP-3633이 주로 사용하던 메시지 포맷과 다르며, 이 문자들의 스크린 샷은 잡음만을 형성하였다. 그러므로, 본 문서에는 대신 SCP-3633이 수신한 것의 속기록이 인용되어 있다. 각 파일과 메시지의 내용은 동일히 묘사되었으며, 이에는 표현 가능한 효과와 미적 맥락 또한 포함된다. 마지막 메시지가 전송된 이후로, 카메라 앱에 접속할 시 하나의 이미지가 표시된다. 이하의 음성 방송은 2016년 2월 1일 아침의 장비 점검에서 발견되었다. 발화와 후속하는 암호화된 신호로 이루어진 이 방송은, 첫 발견 시부터 무한정 반복되고 있는 상태였다. 이 방송의 내용은 밑에서 볼 수 있다. 저희는 현재 적대적 개체들과 여타 유해한 변칙에 포위되어 있습니다. 원래의 제 팀 구성원 서른 명 중 현재 생존한 건 열둘 뿐이고요. 이 채널에 접속해 계신 재단 요원들이 계시다면, 저희를 도와 주십시오. 저희 물자는 거의 바닥이 난 상태고, 군수 물자 또한 예외가 아닙니다. 도움 없이 저희가 한 달 이상을 버틸 수 있을 것 같지 않습니다. 이 메시지에 후속하여, 재단 1980년대 기술로 암호화 및 보정된 VMS 방송이 나갈 겁니다. 그 정보로 저희 위치를 찾을 수 있을 거에요, 저희 묘사가 정확하다면요. 이 방송은 저와 데드 맨 스위치로 연결되어 있으며, 아마 제가 죽으리라 예상되는 시점까지 무한정 반복될 겁니다.